amazon | Brad OH Inc.
Have you picked up your copy of Edgar’s Worst Sunday yet? We certainly hope so, and if you have don’t forget to leave a review on Amazon.com. It’s a big help, and is always very much appreciated. If you haven’t found a copy of Edgar’s Worst Sunday yet, we’ve compiled a list of all current options to correct that obvious mistake! We hope that’s helpful, and look forward to hearing your thoughts! Have you found Edgar’s Worst Sunday anywhere else? If so, let us know in the comments! I had a fantastic time at yesterday’s signing event for Edgar’s Worst Sunday! Thanks to everyone that made it out! If you weren’t able to make it, have no fear. I’ll be back in action selling and signing copies again soon. Stay tuned in the coming weeks for more information and a Facebook Event for the next signing. Remember to join me on Saturday, Mar. 30th, at Chapters Strathcona (10504 82nd Avenue) for the instore signing of Edgar’s Worst Sunday! Come by anytime between12:00pm-4:00pm to grab your copy, get it signed, and chat with the author. You can get more info, and save the date on the Facebook Event here. Today, we’re happy to announce the next signing event for Edgar’s Worst Sunday. Join me on Saturday, Mar. 30th, at Chapters Strathcona (10504 82nd Avenue) for the instore signing of Edgar’s Worst Sunday! If you weren’t able to make it, have no fear. 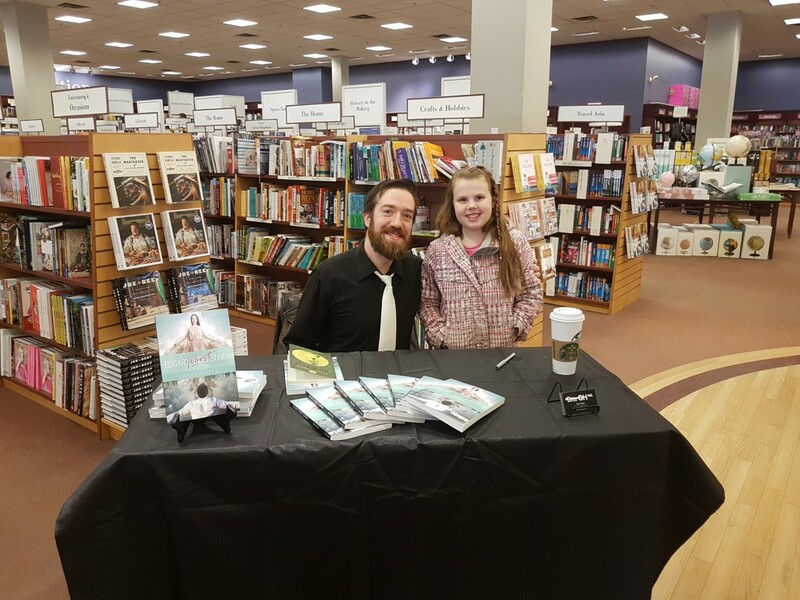 I’ll be back in action selling and signing copies on Saturday, March 30th, at Chapters Strathcona (10504 82nd Avenue). Stay tuned in the coming weeks for more information and a Facebook Event. Join me on Saturday, Feb. 23rd, at Chapters Westside (9952 170 St NW) for the first official instore signing of Edgar’s Worst Sunday! Come by anytime between11:00am-4:00pm to grab your copy, get it signed, and chat with the author. Have you picked up your copy of Edgar’s Worst Sunday yet? If you have, please be sure to leave your review on Amazon.com. If you still need a copy, come grab one at Chapters Westside, at 9952 170 St NW, Edmonton, AB. I’ll be there selling and signing copies of Edgar’s Worst Sunday on Saturday, Feb. 23rd, so come by, get your copy, and meet the author (me!). Times and further details will follow as available, but mark your calendar for Saturday, Feb. 23rd—the debut in-store book signing for Edgar’s Worst Sunday.